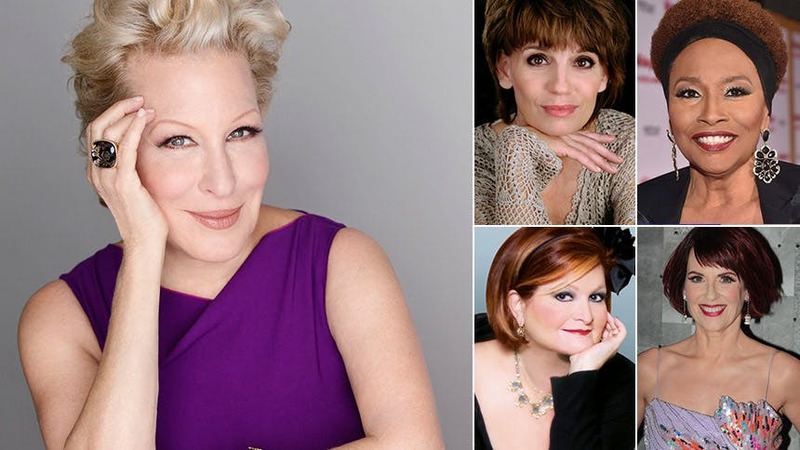 Bette Midler’s star turn in Hello, Dolly! is already making Broadway history with the best first day of ticket sales ever. The featured cast and creative team are also top-notch. The only thing the production is missing is a stellar standby for its star. Donna McKechnie famously stood by for Chita Rivera in The Visit, and it would be incredible for a star of that caliber to stand by for Bette on the off chance she’s out. (It could even be McKechnie!!) Below, the BBox imagines 10 Tony-winning and Tony-nominated divas we’d love to see descend the staircase at the Harmonia Gardens—also save your Patti, Bernadette, & Andrea Martin for another list, cause that ain’t happenin’. She slayed the role at The Muny and her “Ephraim, let me go” monologue was so beyond emotional. I’d love to see it again. You could feast on a four-course meal with the comedic chops the Guys & Dolls Tony winner would bring to the table. The pairing of Bette and this former Harlette and Black-ish star would be too much to handle. Lewis’ Dolly would have audiences rolling in the aisles. Okay, maybe the Will & Grace Emmy winner might not want a B’way standby gig, but fans of the iconic sitcom would flock to see her as the meddling matchmaker. The vocals of Ms. White’s Dolly Levi would turn the Shubert Theatre into pure church. Granted, this two-time Tony winner might be a bit young, but who knows when the next opportunity for her Dolly might come around. Nancy Opel and Dolly Gallagher Levi sounds like a perfect match. The absolute camp of it. Each line delivery a gem. Skinner is leaving it all on the stage right now in Follies, and it would be a thrill to see the radiant Tony nominee bring that kind of commitment to one of musical theatre’s greatest characters. Mary Testa feels like a no brainer. She has that larger-than-life presence to step in for an icon like Bette Midler on the fly. I’m still not over Adriane Lenox’s performance in After Midnight, and for that alone I want to see her Dolly Levi. Though maybe she never goes on and it’s her Caroline, or Change all over again. ‘Hello, Dolly!’ begins performances at the Shubert Theatre on March 15. Hot Clip of the Day: Celebrate 15 Years of Urinetown with "Run, Freedom, Run!"